The woman from Outjo who battered and abused a nine month old baby girl who was left in her care was sentenced to serve the next four and a half years in jail. 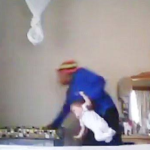 A video of the nanny’s assault on the little girl went viral in 2017 on social media platforms and made headlines in several local and South African media publications. The 40-year-old Nicoline Hoeses, who is herself a mother of four was arrested shortly afterwards and while in court was tried for attempted murder, assault with intent to do grievous bodily harm and ill-treatment of a minor. 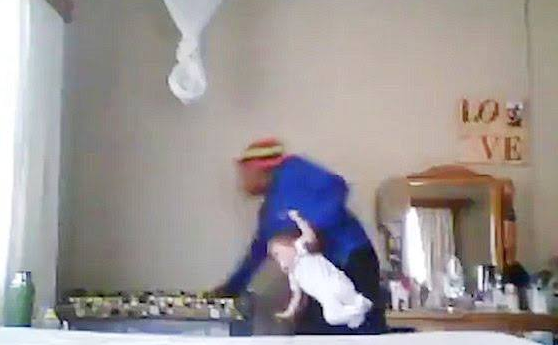 At the time of the shocking incident the victim’s mother, Annemarie Theron, said she suspected that her child was somehow mistreated because noticed suspicious bruises on the baby’s neck and shoulders. She had closed circuit video cameras installed in her home which clearly exposed the battering perpetrated on the little girl a short while later. At that stage Hoeses had been in the employ of the Theron family for four months as a housekeeper and nanny. In the video, Hoeses, who pleaded guilty to the charges is seen violently assaulting the baby and flinging her into her cot face down. She then leaves the room with the baby crying and returns a short while later and the proceeds to pick the baby up by her feet and swinging the baby by her ankles before throwing her back into the cot. Since her arrest Hoeses appeared in court several time and bail but was denied bail ever since her first appearance during September 2017. Magistrate Peingondjabi Shipo who presided over the matter found the accused person guilty on all three charges and sentenced her to be incarcerated for the next six years. The magistrate deducted one and a half year from the effective six year sentence because of the time Hoeses already spent in polices custody. At the time of the incident the victim’s mother said: “Not all nannies are the same, there are good ones and bad ones. I would like to warn mothers and parents out there that if you get the hint that something is not okay with your child, investigate and be alert. I posted that video on social media to alert other parents. We think these things only happen in other countries, but it’s happening right here in our houses under our noses.” said Theron.